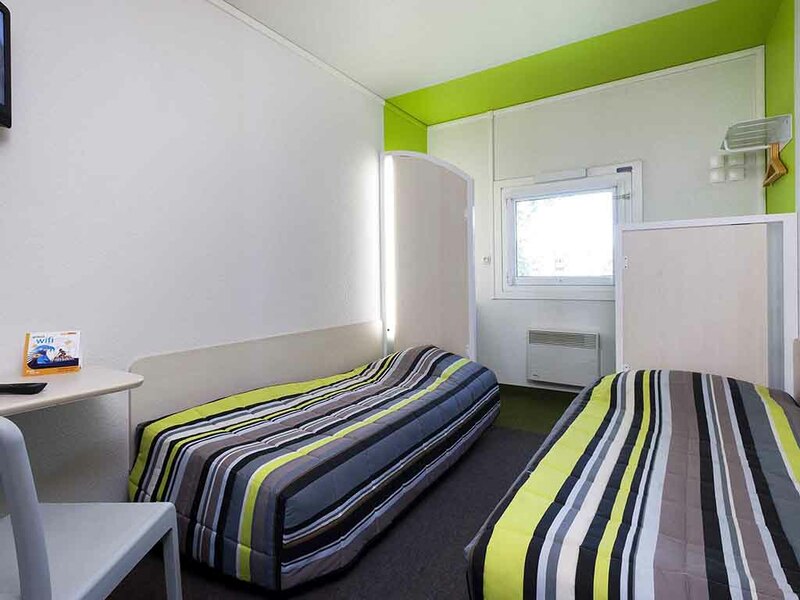 The hotelF1 de Montauban, a new generation of low-cost hotels in France, offers air-conditioned DUO and TRIO rooms and includes free WIFI for your business or leisure travel. Close to the rooms is a spacious and well-equipped shower and bathroom area. Our all-you-can-eat energy breakfast, served starting at 5:30 am for early risers, is a real feast for everyone. It was mostly fine, the staff were very friendly, the room basic but comfortable (although too few pillows) the breakfast was terrible, and not worth the money. Tried 3 rooms but none of the air conditioning worked and the rooms were very hot. You could not open the window as there was no fly screen. The toilet was like a porta cabin toilet. The sink had burn marks in it and no plug. The all you can eat breakfast was either sliced bread or bread roll, nothing else to eat. There was not even a toaster. I would rather sleep in the car than stay there again. The sheets however did appear to be clean. Aircon not operating. Very noisy fan immediately outside window which needed to be open for ventilation. Not even any hand towels in room. No power point at bedside. No one on reception, after a few minutes someone turned up, talking on their mobile. Ignored me a for while, then eventually checked me in. Floor by the sink in the room hadn't been cleaned properly. Room was quiet and I slept well. No towel in room. The toilet was dirty. Not enough clean. Spider and cocroches in the room. WC not enough clean. It was good. Quiet, comfortable and friendly. Toilet door/light configuration not in sync. shower fan not working. TV remote not operating. Very good staff.